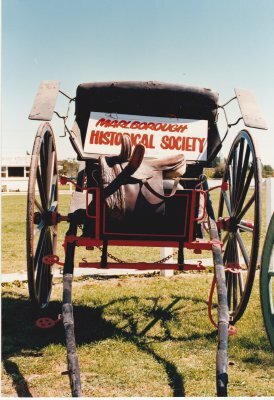 Description "Gigs on display during Picton Historical Society visit", to Brayshaw Park in 1986. This is the gig in record (0000.800.0813) which is kept in the Beavertown Livery and Bait stables. It has a ladies side saddle hanging over the front.